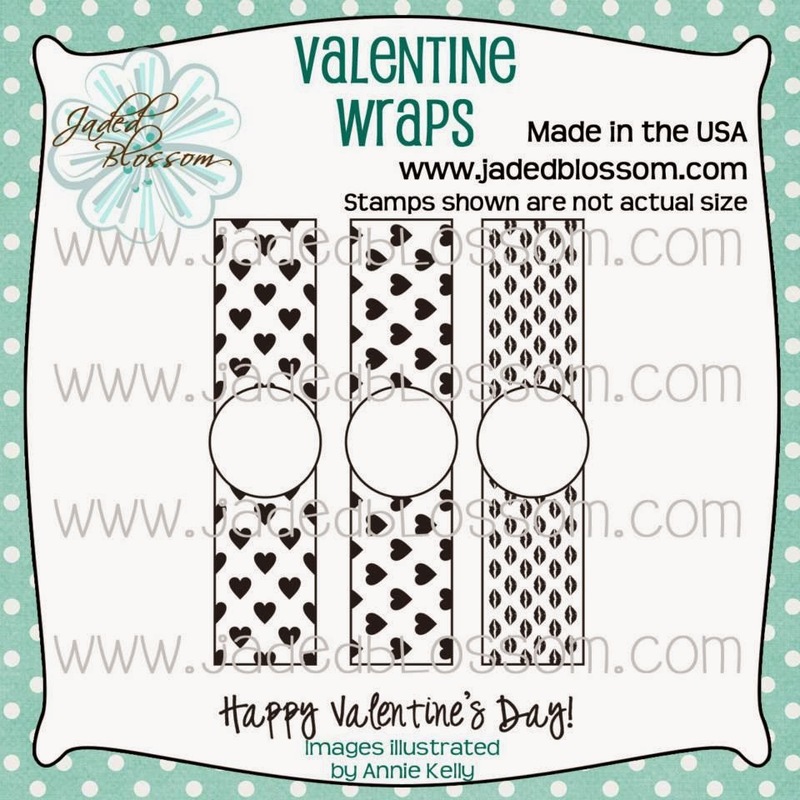 Thanks so much to everyone who played along in the January Jaded Blossom Monthly Challenge!! 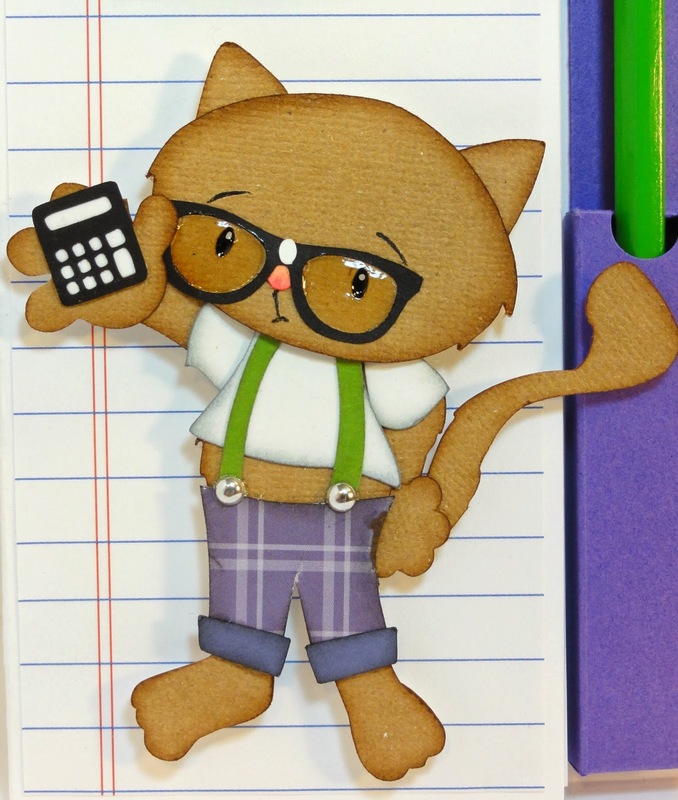 There were some amazing entries this month! And Random.org has picked a winner! 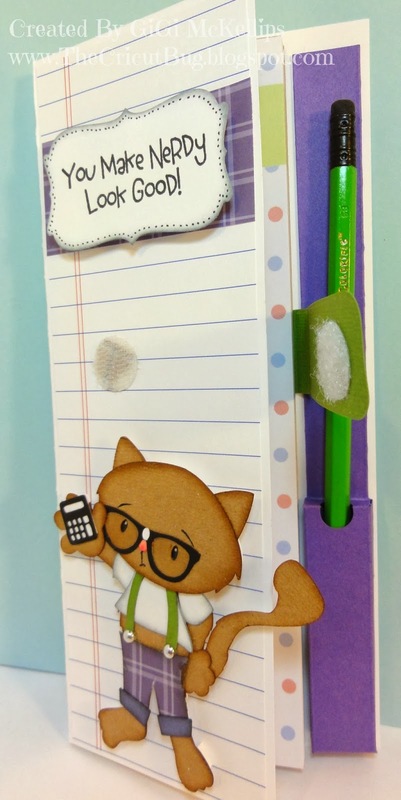 She created this adorable treat card!! Check out the details here! 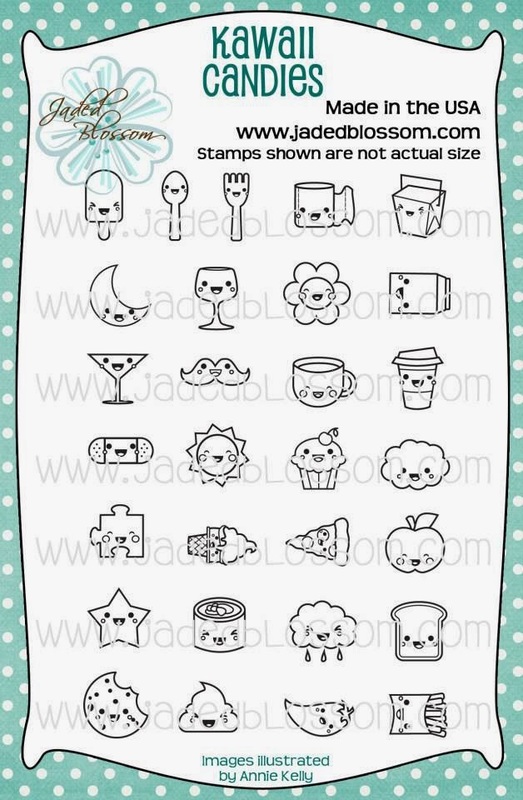 To claim your prize, please email us at admin@jadedblossom.com! A new challenge is right around the corner so make sure to check in with us on Feb 2nd!! 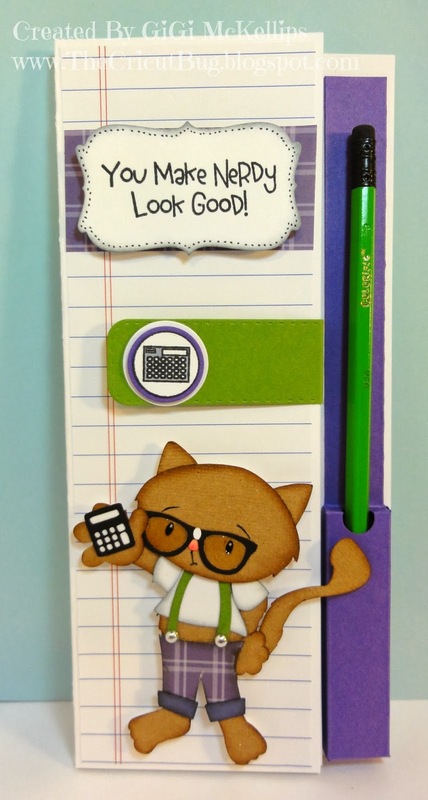 Hello My Crafty Friends. Kate here with you. Hope everyone had a great weekend. Mine was great perfect weather until yesterday when it got super windy and the temperature dropped. But can't complain right at least I don't leave were it is below 0 or -12. 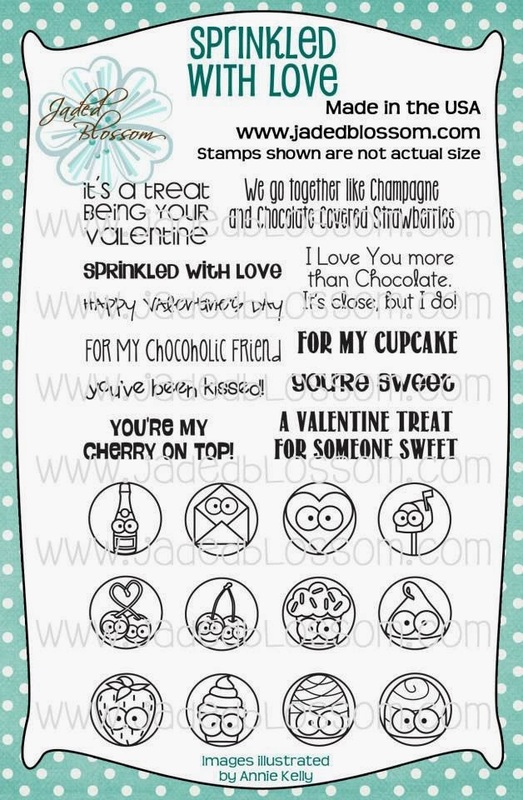 For my project today I am using the Stamp that we are spotlighting this Month Simple Sayings Valentine Edition. 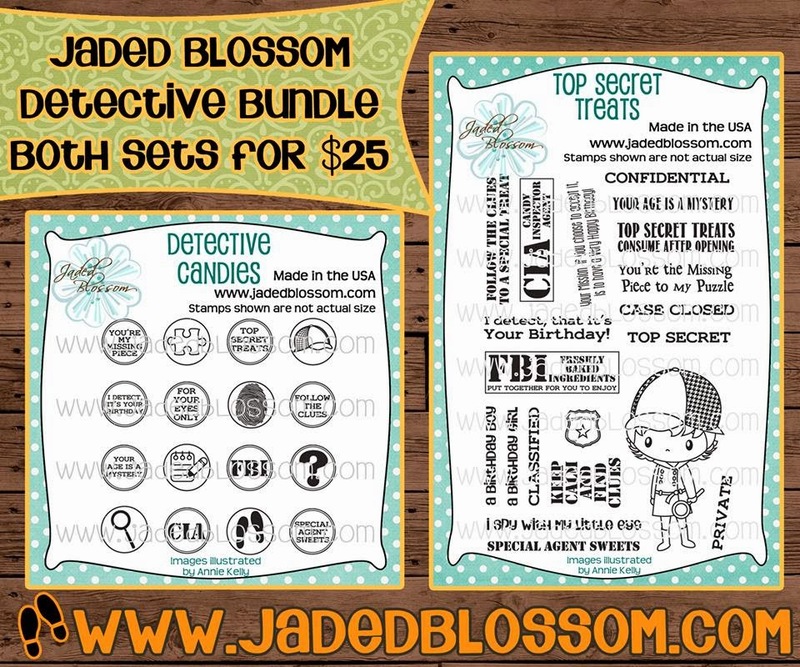 Hey Jaded Blossom peeps!! Candace from Scrappin' 2 Little Princesses here today! I have been playing with my new alcohol markers a lot lately and have a new found love for all the awesome Jaded Blossom image stamps!! I am so in love with using the new SVG Outlines available! 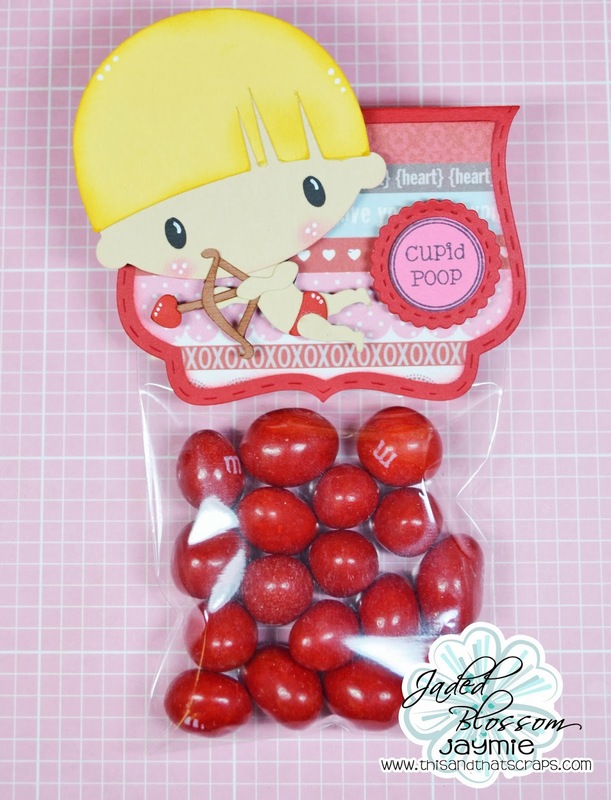 So much quicker and cleaner than fussy cutting! Hello Everyone! 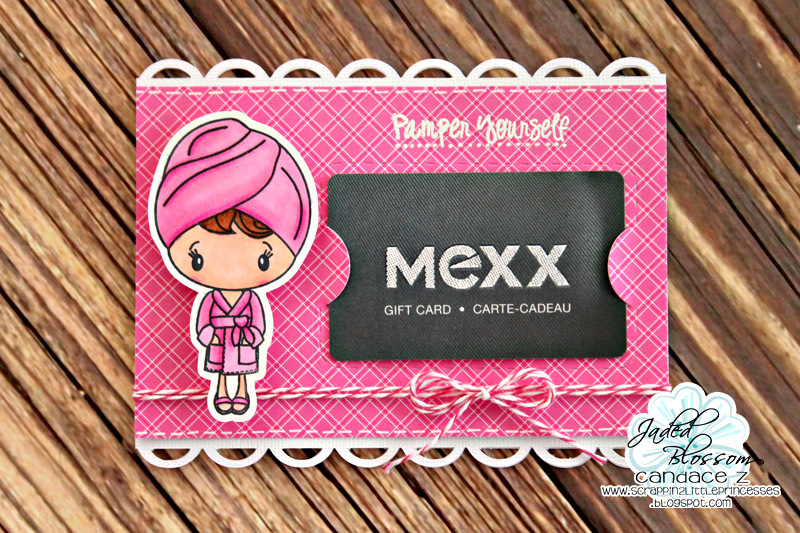 Mel from Doxie Mel Designs with a project to share with you. Valentine's Day is just around the corner so I have been busy making some fun Valentine projects. 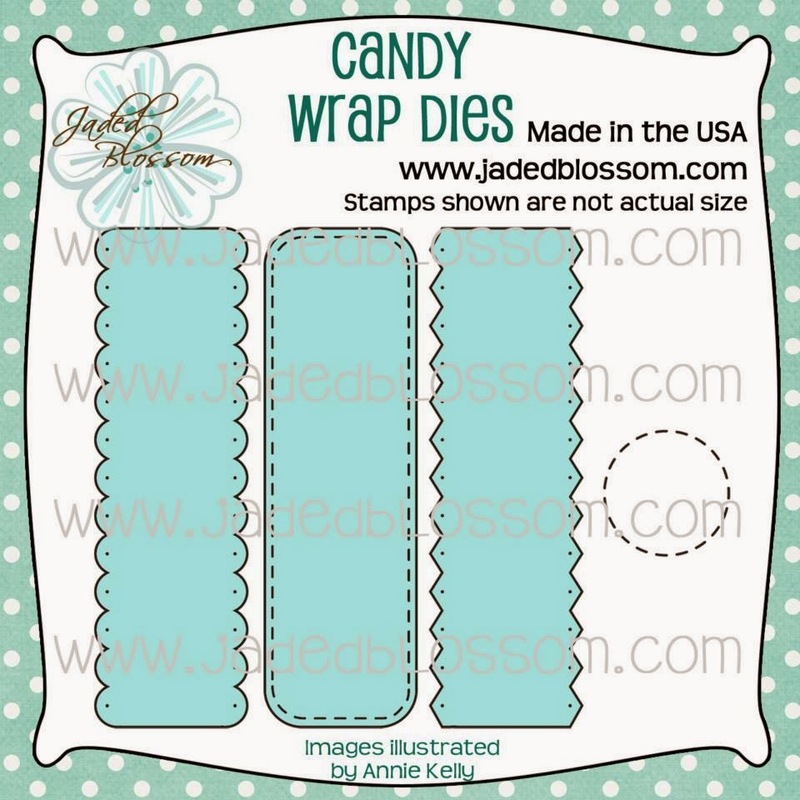 I thought this cute cupcake box from the Silhouette would be even cuter with Jaded Blossom Stamps. Here are the candies inside the cupcake. The decoration on top is from Basic Grey's Fact or Fiction, felt flowers. It serves as a handle and a place to tie the tags. Trixie here and I have a cute little Valentine Card to share with you today. 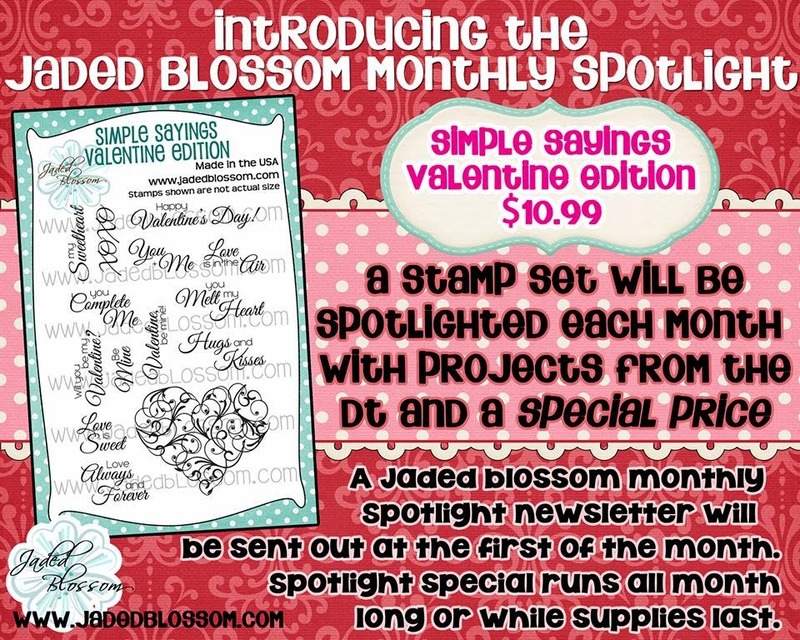 This month Jaded Blossom is having Monthly Spotlight Stamp Set. 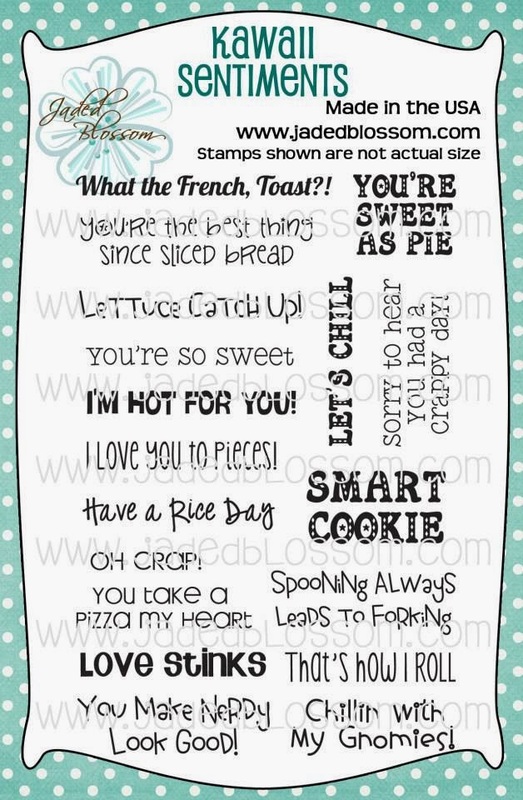 It's Simple Saying Valentine Edition. LOVE this set! My little card is 2 3/4 x 3 3/4. 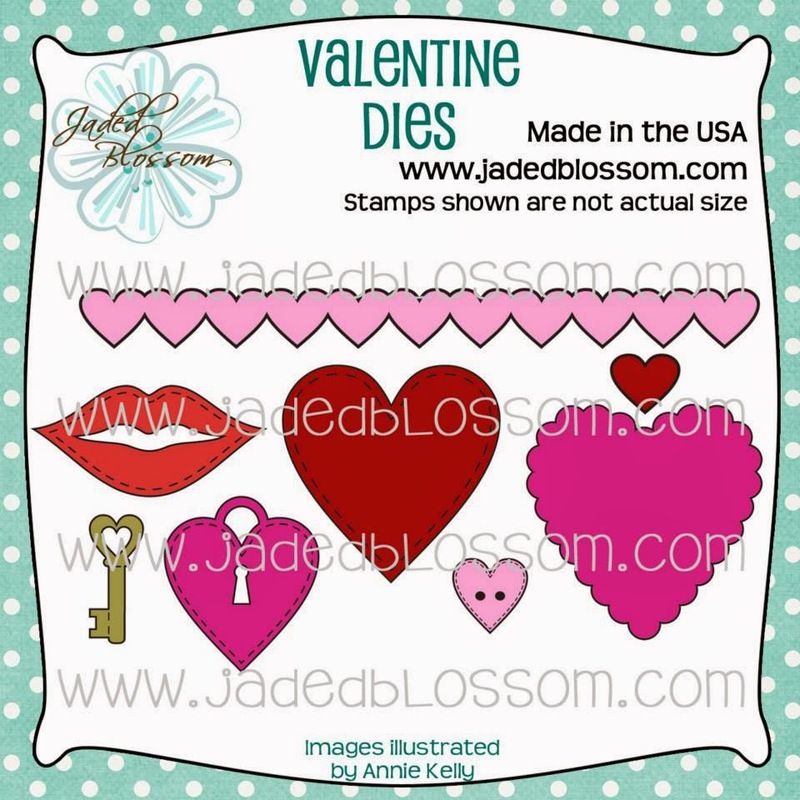 It's the perfect size of card for the heart from the Valentine Dies. 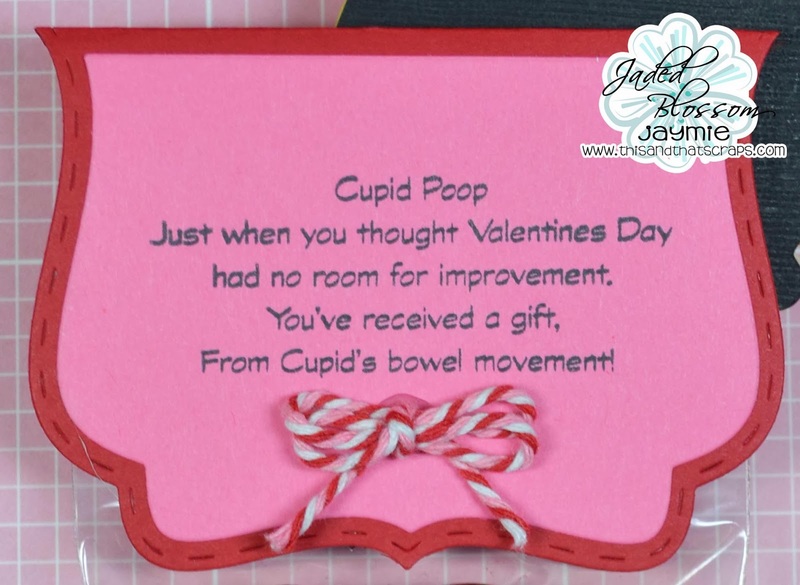 I used the sentiment from the Simple Sayings Valentine Edition . 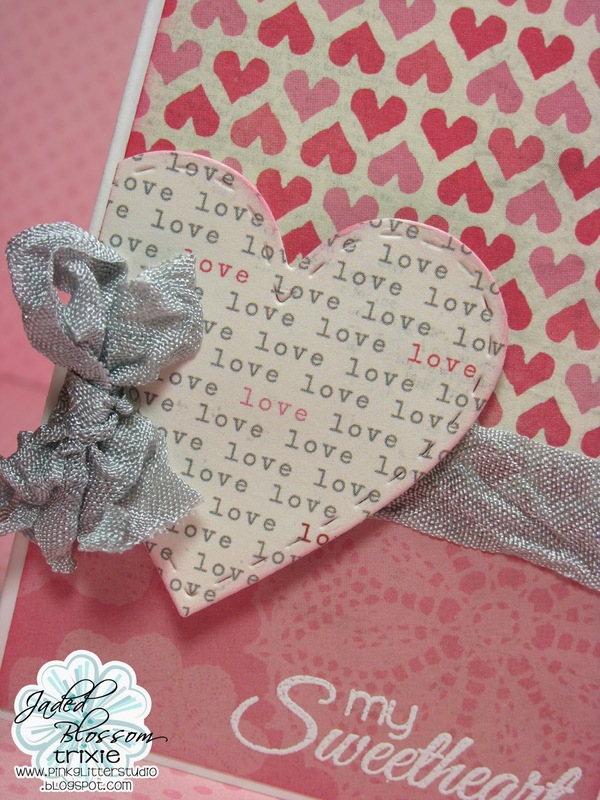 I also added some Simply Grey Rumple Ribbon from Lovebug Creations. 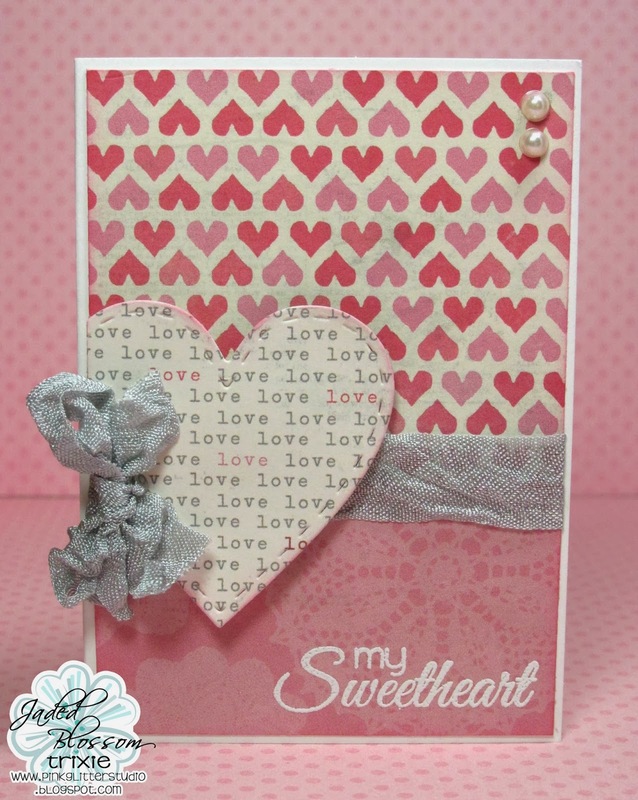 I LOVE this stitched heart die. 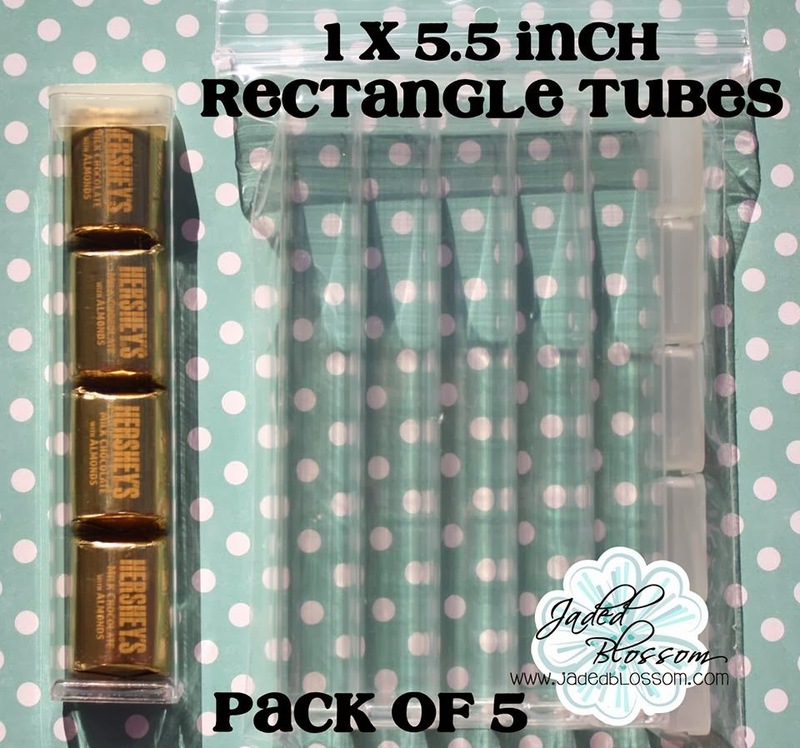 It's the perfect size and I can see that I will be using it over and over!! I embossed the sentiment in white. You can link up your project HERE by the 25th. I made a cute little Valentine card and treat holder! I also used some Totally White twine. And the bomb is on an Action Wobble! I scored it 1/4 of an inch from the center on both sides and folded it so it had a little base to sit on. I had to trim the inserts a little bit on the bottom for it to fit. I used the Valentine Die to wrap around the Fancy Topper Die. 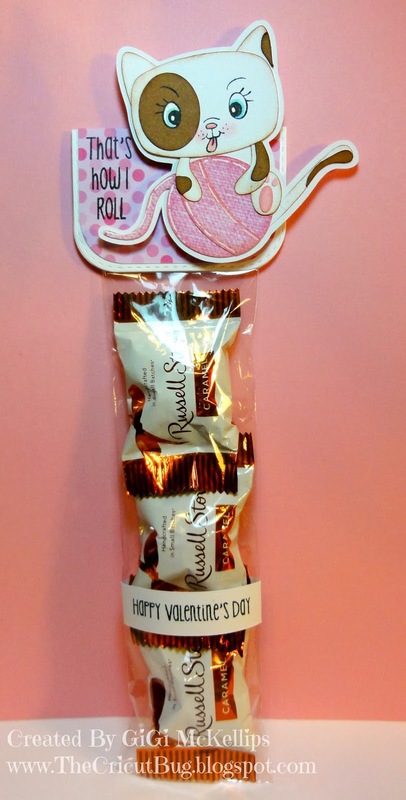 Inside are three Hershey's nuggets and I used the Candy Wrap Dies to add a little bit of sass to the candies! 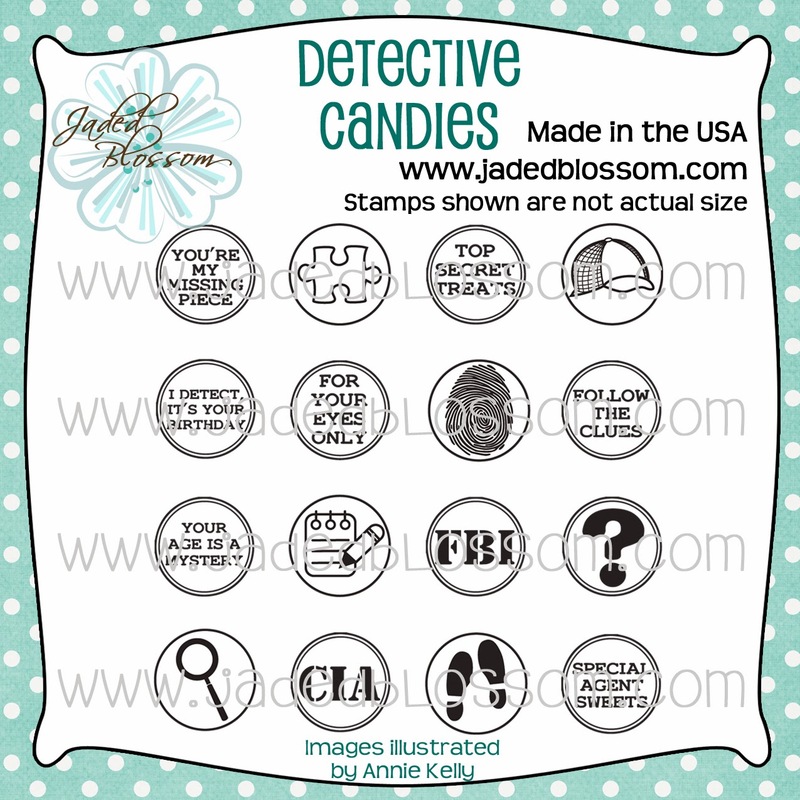 I used the Mini Tag Die and stamped from Superhero revamp set! These were super fun to make--I hope you enjoyed them! Hello everyone! 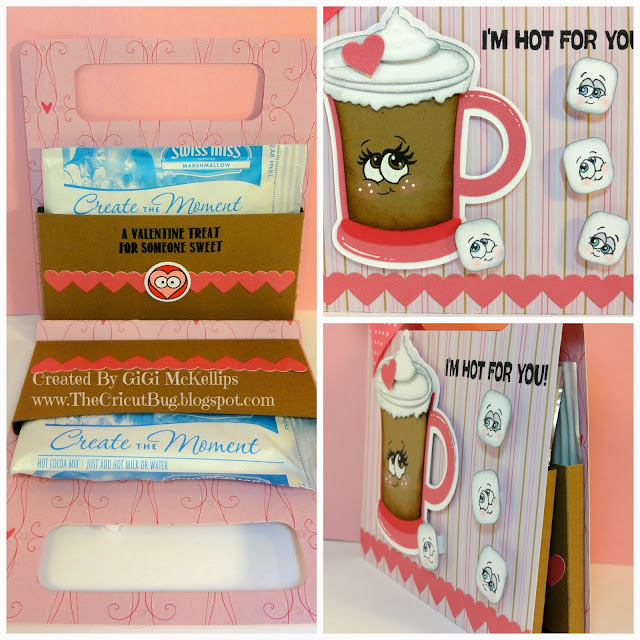 This is GiGi from The Cricut Bug and today I am sharing a treat bag that I did with my Jaded Blossom supplies. 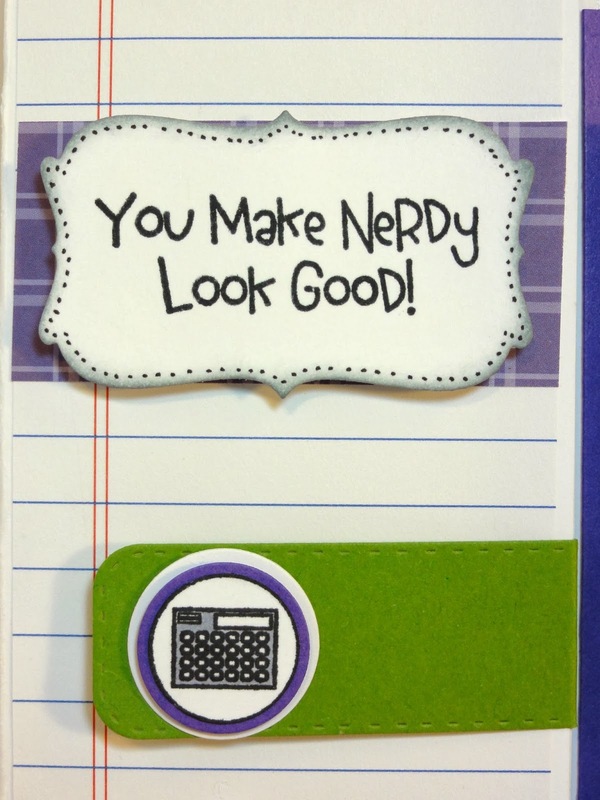 I used the NEW Kawaii Sentiments for that fun sentiment. 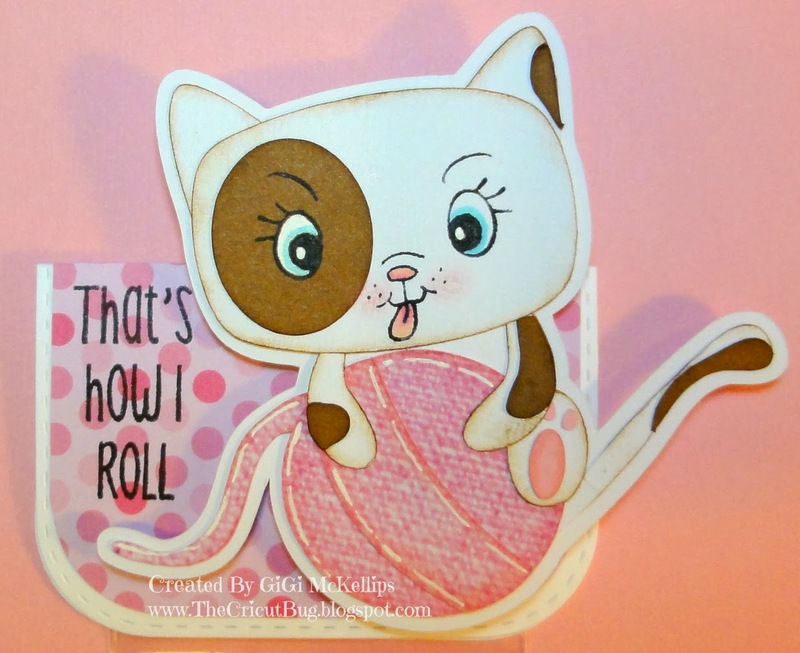 I thought this sentiment was perfect to go with this kitty and ball of yarn. 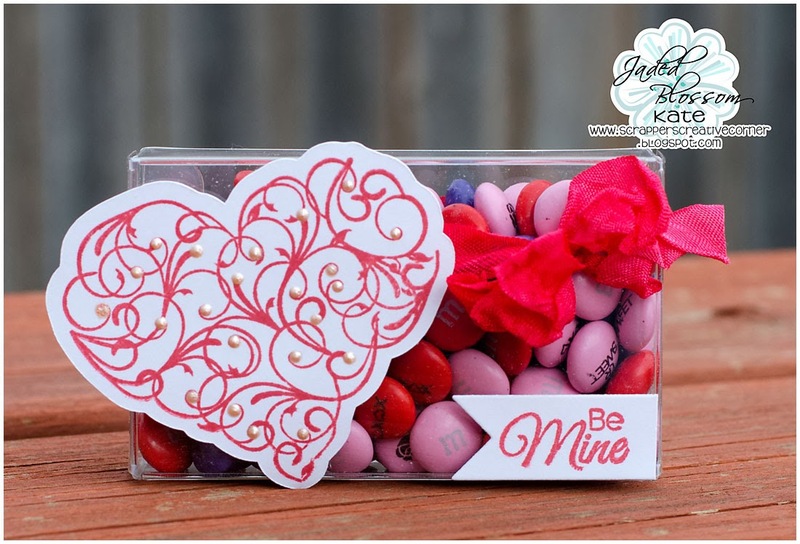 I created the bag topper by using the Jaded Blossom Layered Frame and Journal Die. I cut it out of white and folded it in half. The pink was also cut using the die and I just hand trimmed around the inside stitched lines. I cut the kitty using the SVG Cutting Files Oliver file and stamped the face with a Peachy Keen Here Kitty Kitty face stamp. 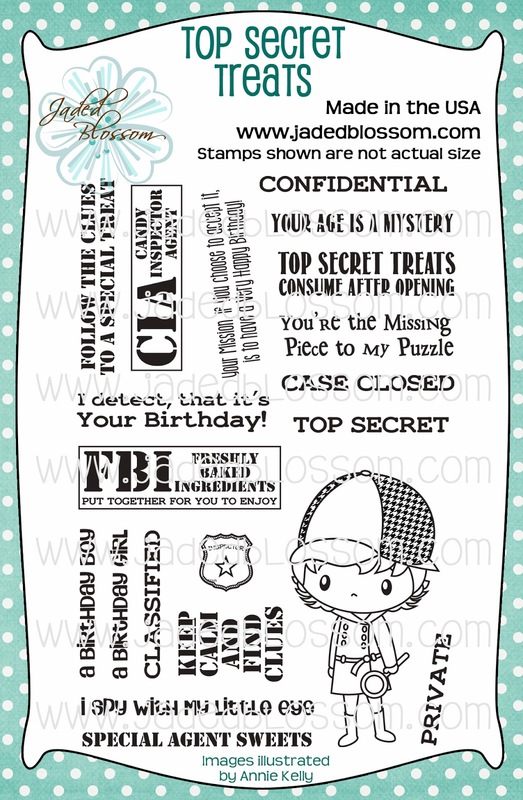 I stamped the sentiment using the Kawaii Sentiments and attached it to a 2.25 X 8 Inch Clear Bag. 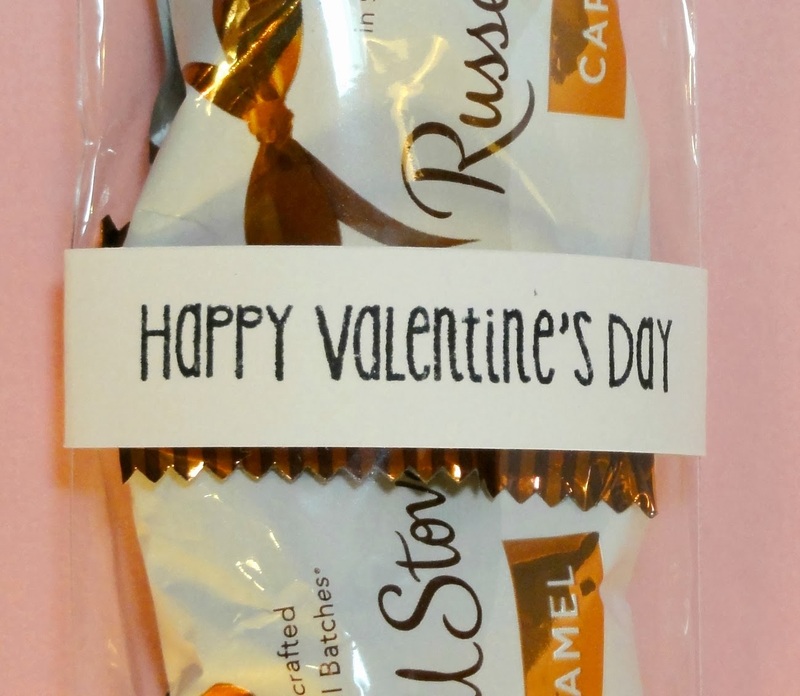 I also added a strip of paper to the center of the bag and I stamped that sentiment using the Valentine Treat Tag stamp. 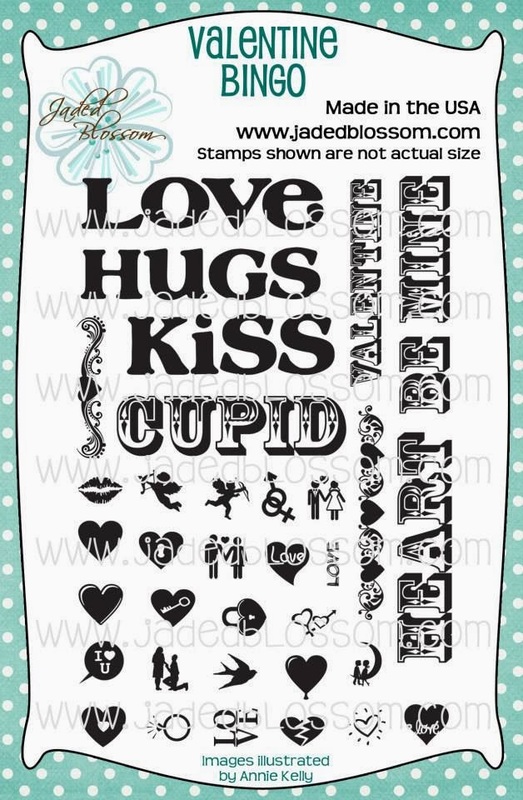 This was the free stamp that you received with the January Release. Hey everyone, it's Jaymie and today is my Design Team day! 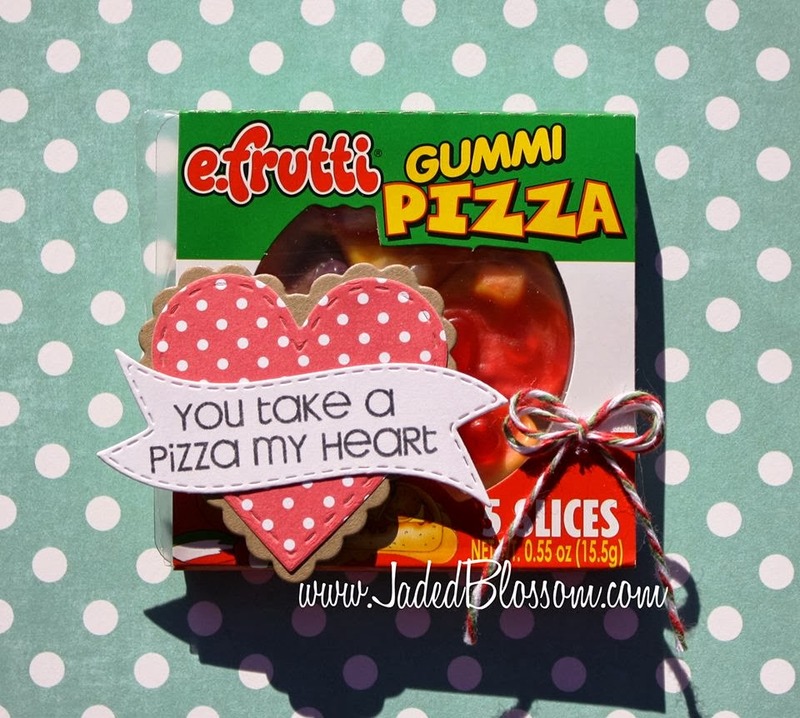 I wanted to share a cute Valentines treat I made. Happy Wednesday! It's time to announce some winners for some hops we've had! Congrats Amy! 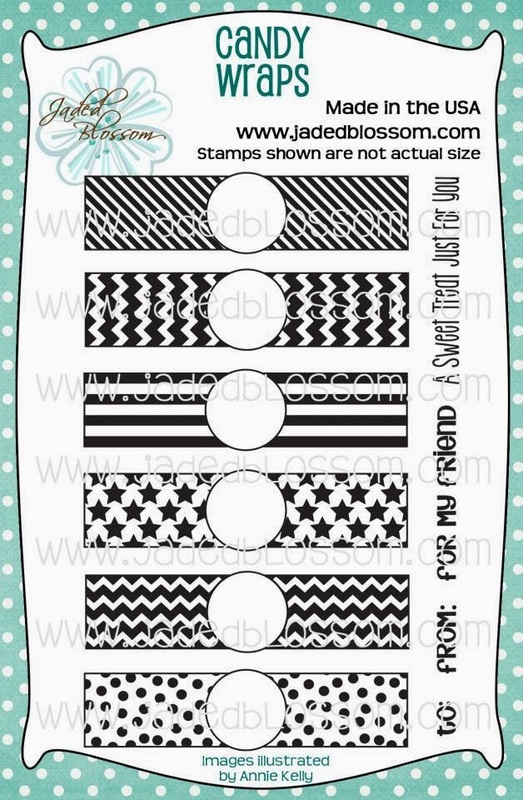 You won the Over the Hill candies stamp set! Congrats Cindy! 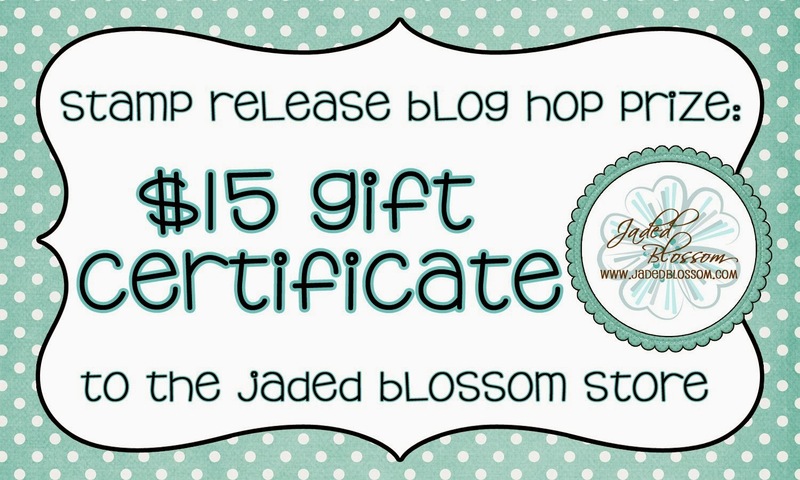 You won a $15 Gift Certificate to the Jaded Blossom store! 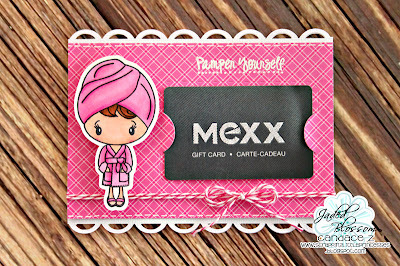 Jamie here and I've got a fun CAS card to share with you! 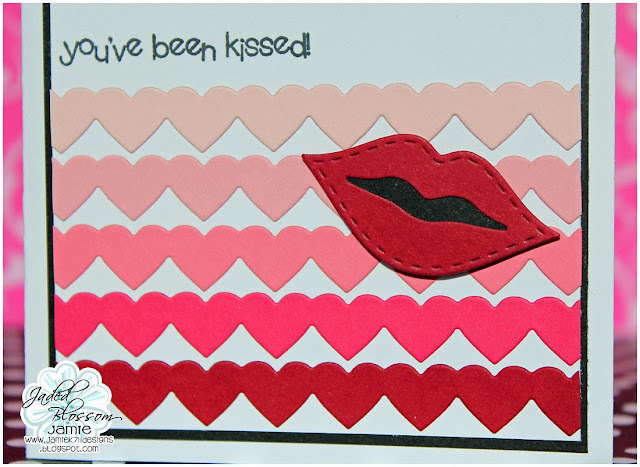 I used the heart border die to create the shades of pink and then I used the lips die with the red and pop dotted it on top of the hearts. 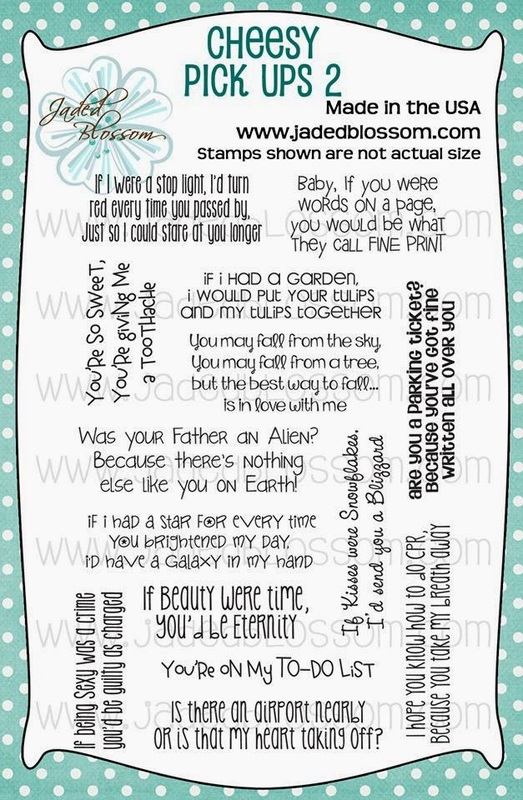 Last I stamped a sentiment from Sprinkled with Love above the hearts. 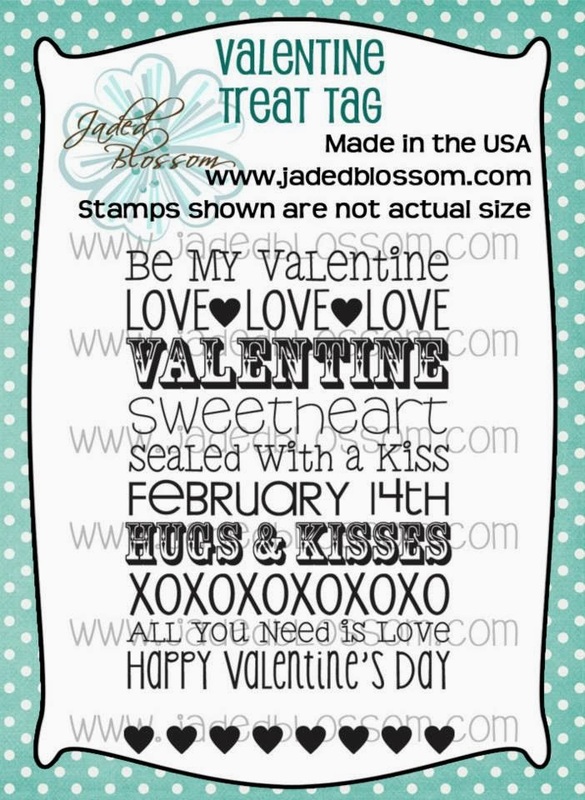 Don't forget our Valentine Challenge is still going on! You can find all the details HERE! Good Morning Everyone, I hope all my crafty friends are doing well and staying away from the flu as much as possible. 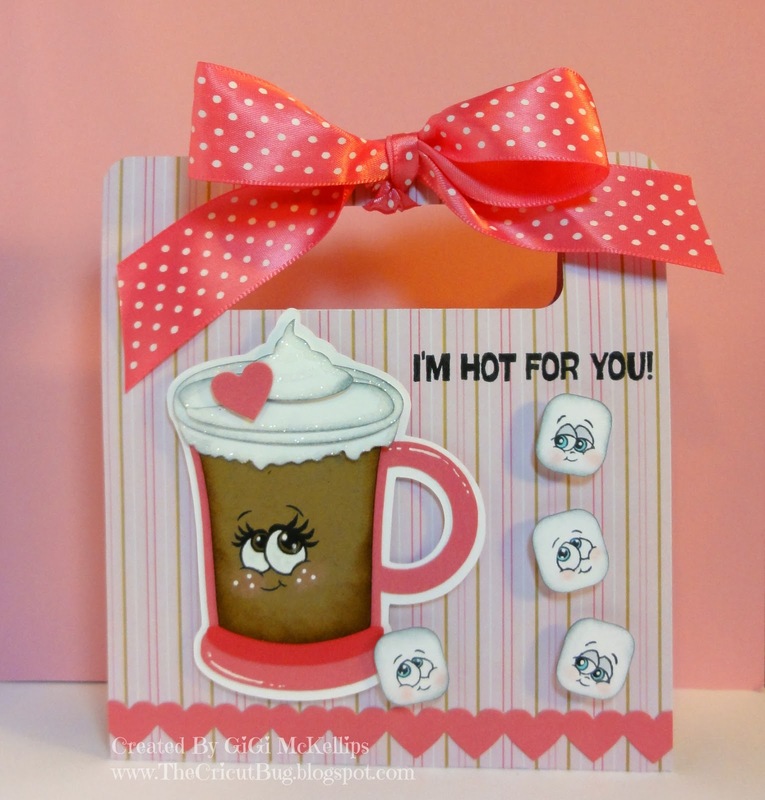 It's Kate here with you today and I made this little treat using the new products that was released last week. 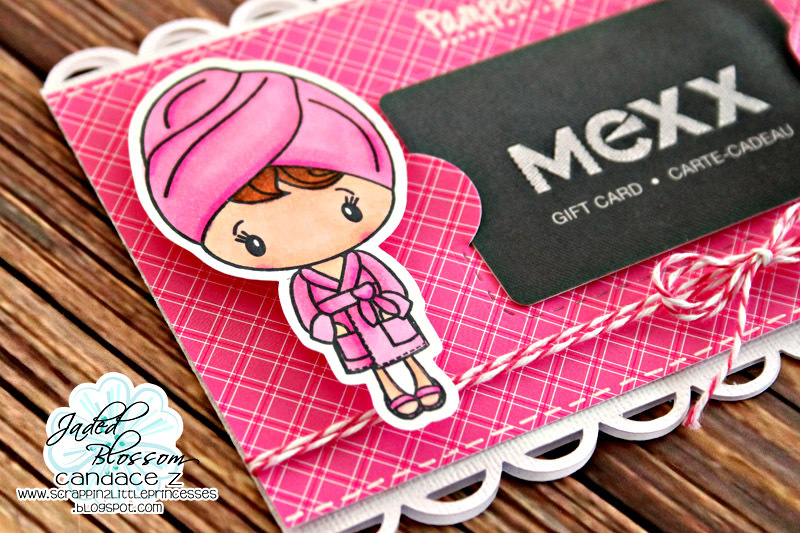 Remember to join our Valentine's Theme Challenge, you have a couple more weeks to join. 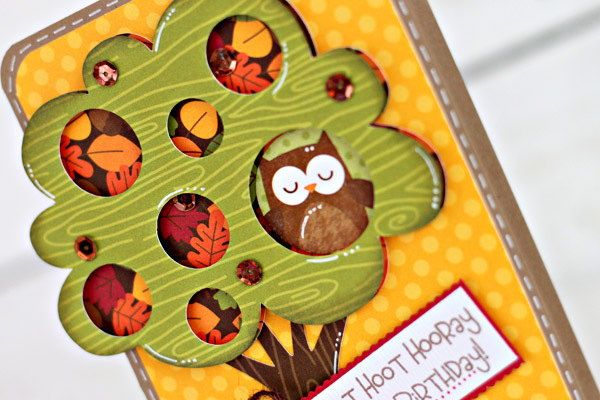 I have a fun little card to share with you today using one of my favorite Jaded Blossom stamp sets - Forest Friends and some paper and stickers from Doodlebug Design. I used one of the Flag Dies to make the perfect little spot for my sentiment by trimming down my flag after I ran it through my Big Shot. 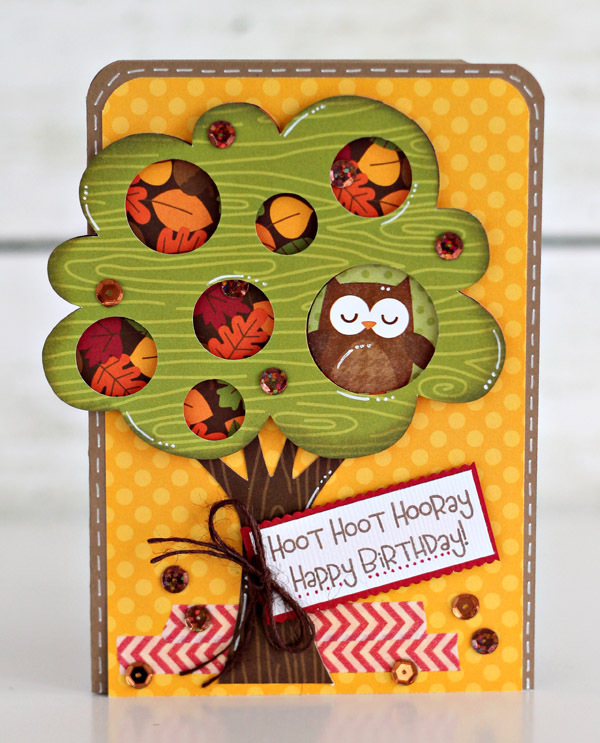 I added some pop dots behind my tree's leaves to give my card some fun dimension. Remember that we have a new challenge going on right now!! 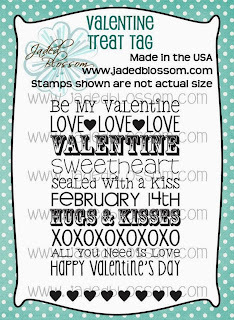 We would love to see your Valentine's projects!! Link up HERE!! It's Finally Time! 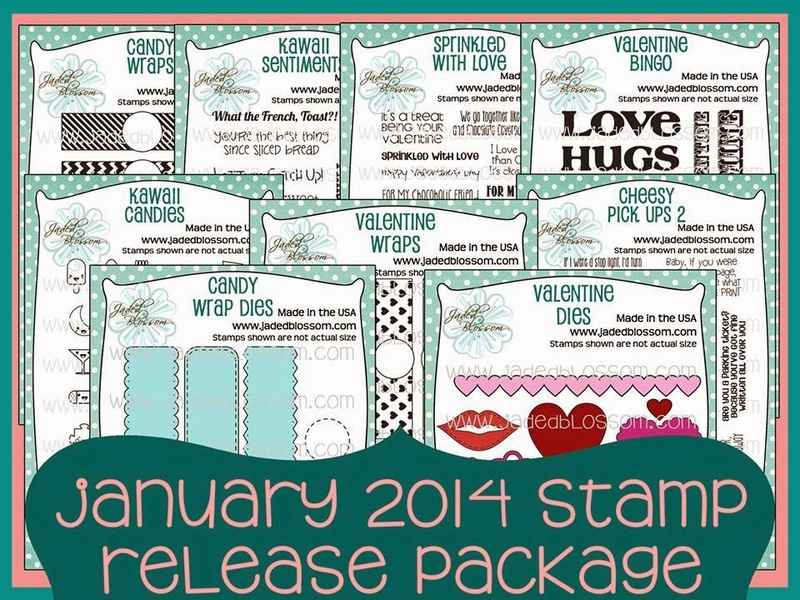 You are now able to purchase our January 2014 Stamp Release. 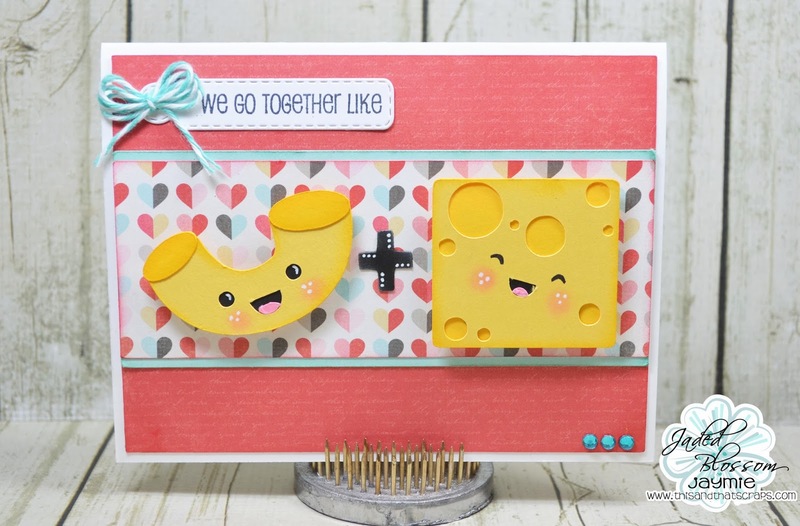 Due to the overwhelming response to our Gotta Have it now Package we have sold out of Cheesy Pick Ups 2 and Valentine Dies. We are also low on a couple other items. We will have items back in stock in about a week and we will RE RUN our freebie promotion! So if there is something you want that we don't have in stock, don't worry! We will announce when all items are back in stock! This package is sold out, will be back in stock in about a week. We will re-run our special price at $134.99. Enjoy and have fun Hopping!